Nokia will be revealing its first Windows 7 phones next week at its Nokia World 2011 event, Microsoft's Andy Lees revealed in an interview at AllThingsD's AsiaD conference. These phones will be the first products to come from the Microsoft-Nokia partnership that was announced earlier this year. 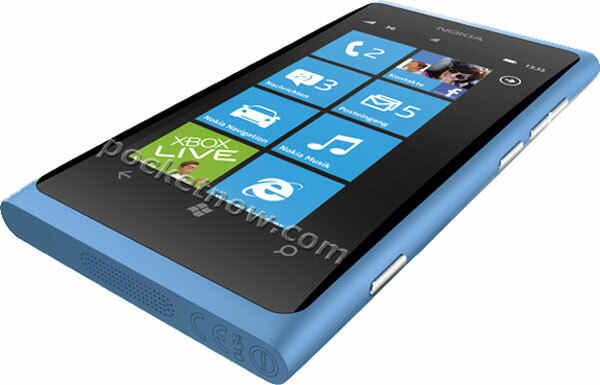 According to the report, Nokia will show off several new phones, all running the new "Mango" version of Windows Phone 7. The Nokia 800, pictured above, is expected to be one of them - several leaks have already given the tech press a pretty good look at this phone, which sports a slim design and multiple colors. Microsoft is betting that these new phones will help it compete better againt iOS and Android handsets, while Nokia is hoping that they'll help reverse declining in sales: the company is so optimistic that it announced it would no longer be selling Symbian or feature phones in the United States by the time its Windows phones came to market.